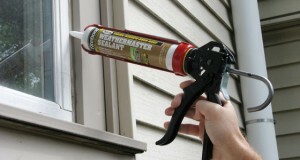 Caulking is one of several different processes to seal joints or seams in structures. Caulking is one of BTR’S value added services as it uses the rigging already in place for our core tuckpointing and masonry restoration procedures. It is also another preventative maintenance device for thwarting leaks. An open caulk joint can cause the same amount of damage as a void within a mortar joint can, by allowing unwelcome water into your buildings. BTR implements a variety of sealant products depending on job specifications. Polyurethane, silicone, and butyl rubber caulk are commonly used to form a watertight seal to all types of perimeter, control and expansion joints.